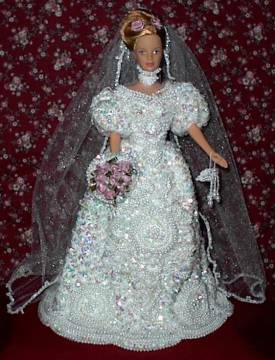 Comes with 2 piece gown, headpiece and veil, purse, bouquet, doll and doll stand. This gown has over 8200 sequins and 4000 beads on it! 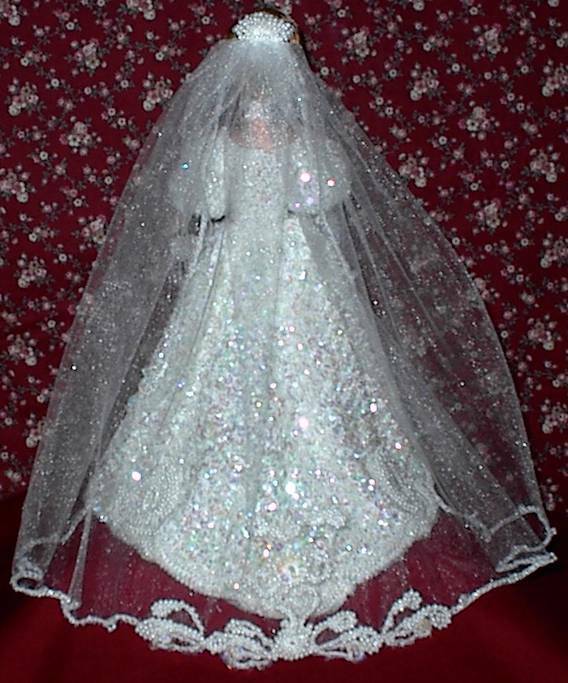 The veil is hand appliquéd. A beautiful bride!